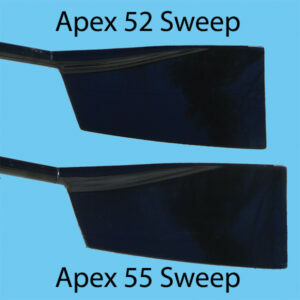 Sweep Blades: The BB52, Apex-55, Apex-52, Big Blade-52 for traditional shaped shafts. The Apex-E for elliptical shaped shafts used on the Slim Ellipse: Blades Only. You must provide your serial number of your sweep oars and the side desired.